On November 30, 2019, Korea-China Cultural Association headed by Special Envoy of Chinese Affairs Mr. ZHANG Bo visited TCS. Deputy Secretary-General HAN Mei met with the delegation. DSG HAN welcomed the delegation and shared TCS’ functions, past activities and future work plan. Mr. ZHANG introduced the association and the organization’s endeavors to promote China-Korea bilateral relationship. Two parties exchanged ideas on topics of mutual interest including strengthening local government cooperation and SME cooperation in science, technology, and innovation. 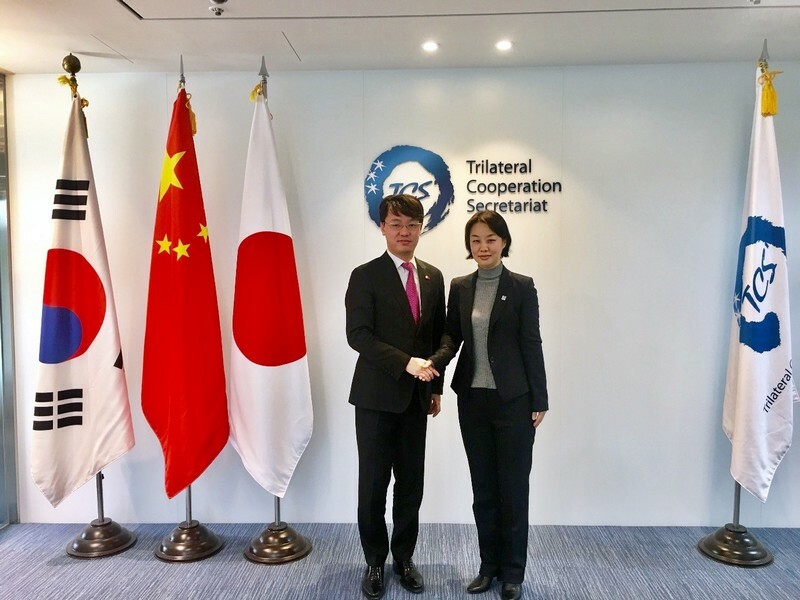 Both sides also discussed about how to upgrade good practices in promoting bilateral collaboration into practices for strengthening trilateral cooperation.